ACC-823015 Prowler Valve Cover Stainless Steel Inserts. Mirror Polish. Highest Quality Upgrade. 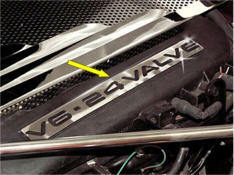 Heavy duty high polished Stainless Steel Plate fits over your raised Prowler engine letters on your valve covers. Includes two cut out plates - one for each side of the engine. Laser cut to fit perfectly. These bright shiny pieces really pop out! What a difference! Will not rust, corrode, or stain. Will keep its luster for the life of your Prowler. Mounted with professional 3M automotive tape pre cut on the back of each letter. Comes with a pen type liquid promoter to form a tight bond. 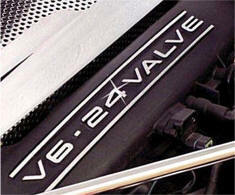 Will hold up to all engine heat and last the life of your car. ACC-823010 Prowler Engine Stainless Steel Letters. Mirror Polish. Highest Quality Upgrade. Heavy duty high polished Stainless Steel Individual Letters and top and bottom strips fit on top of your raised Prowler engine letters on your valve covers. Includes two cut out plates - one for each side of the engine. Will not rust, corrode, or stain. Will keep it's luster for the life of your Prowler. Just a note: The back ground plate that these letters are punched out of do not fit over your Prowler engine letters.